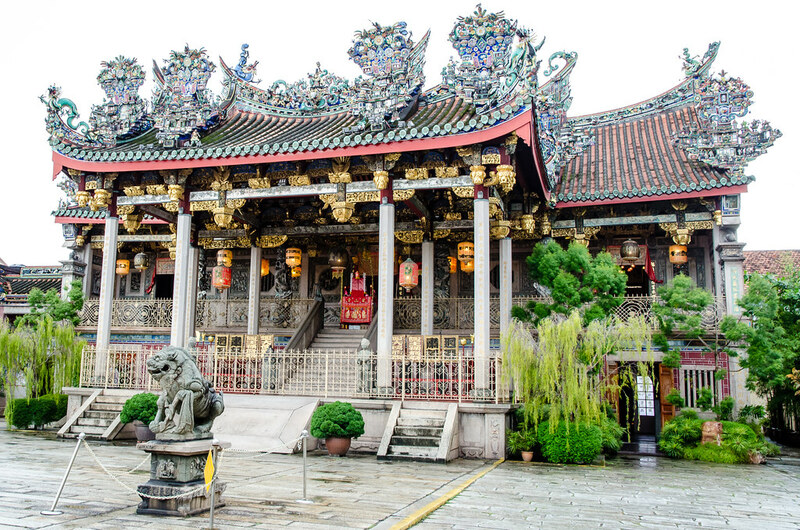 On second day of our company Penang trip, we went to visit one of the finest Chinese clan temple, the Leong San Tong Khoo Kongsi temple. 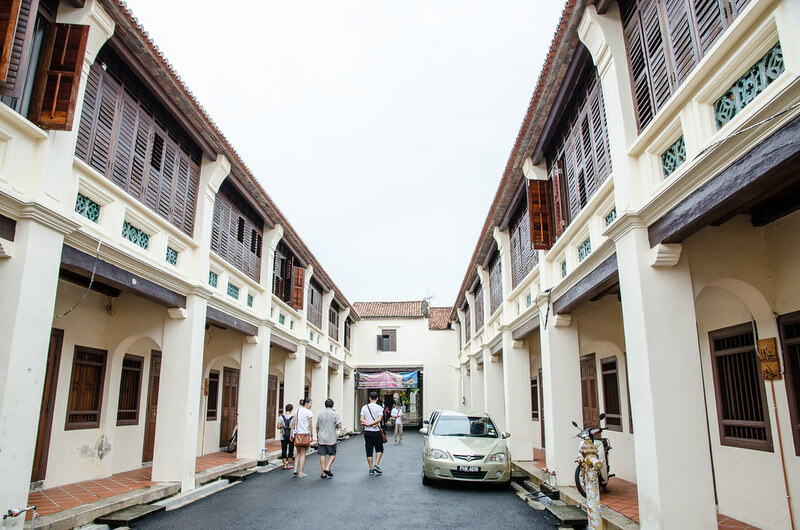 It is situated at Cannon Square in George Town, Penang. 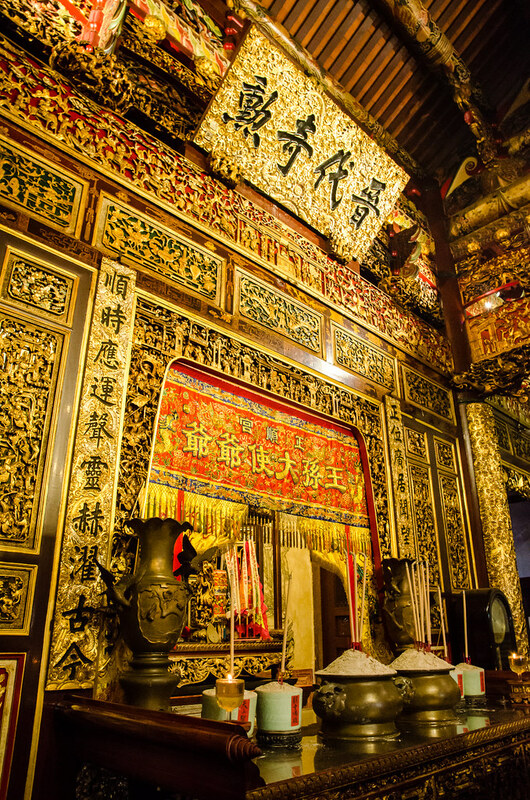 Apparently, Khoo Kongsi is one of the filming location for the Jodie Foster’s movie, Anna & The King. It is also listed as a UNESCO World Heritage site for its heritage conservation. 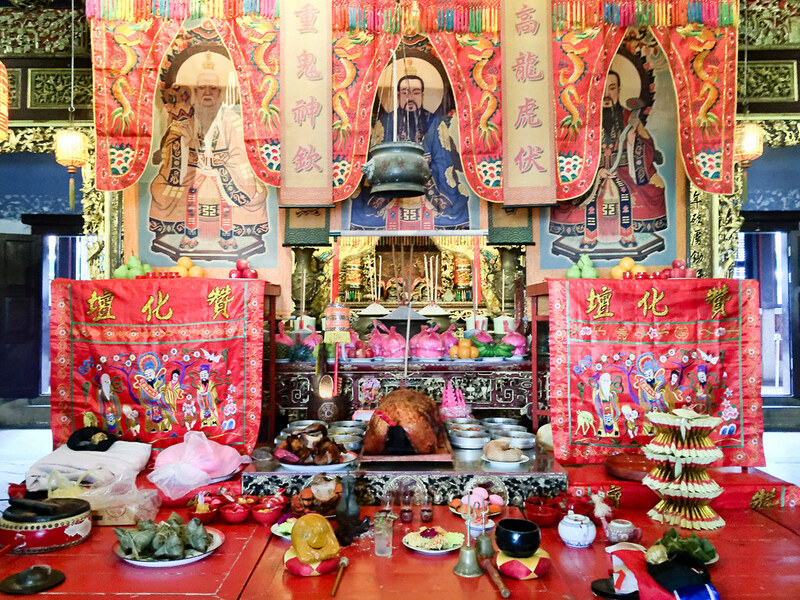 Khoo Kongsi is actually one of the Five Big Clans that formed the Hokkien community in early days of Penang. 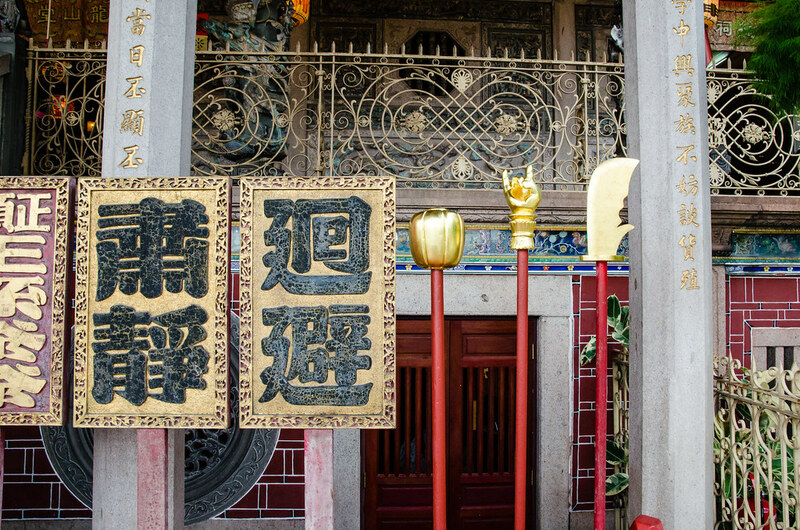 This historical place is not only to see temple, but also to learn the history of the Khoos who were among the wealthy Chinese traders since 17th century and can be traced back 650 years ago. 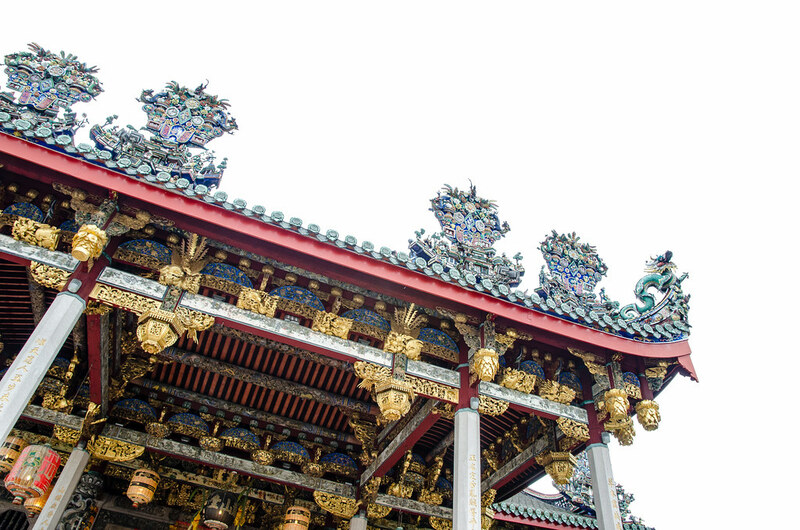 There are old shop houses like this built for the Khoos’ family in the temple’s area. The structure and style are still maintained well until today. 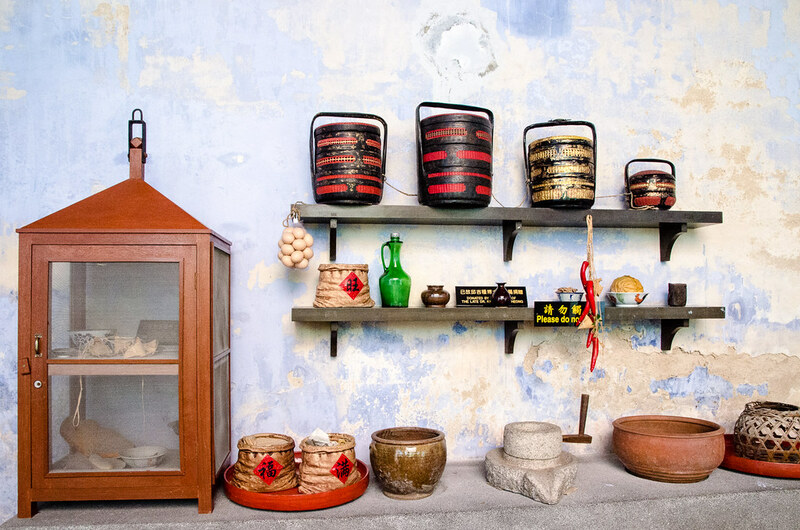 The style are very similar to other old shop houses here in the island of Penang. 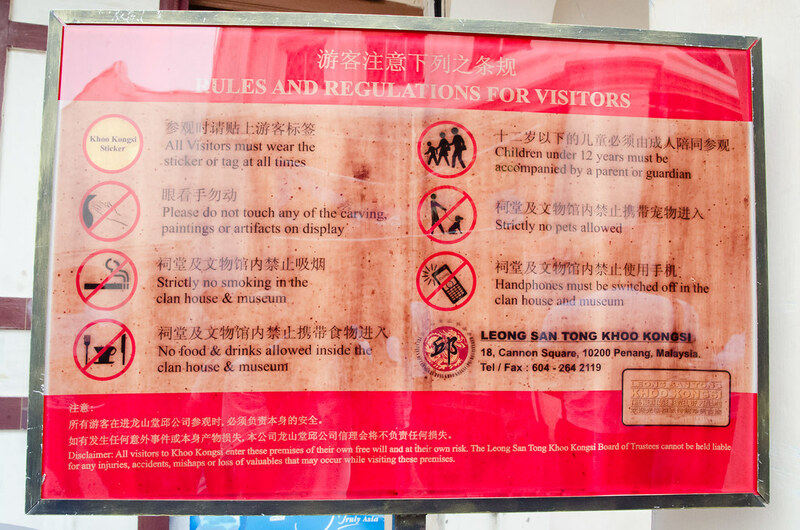 Please read the rules and regulations for visitors. 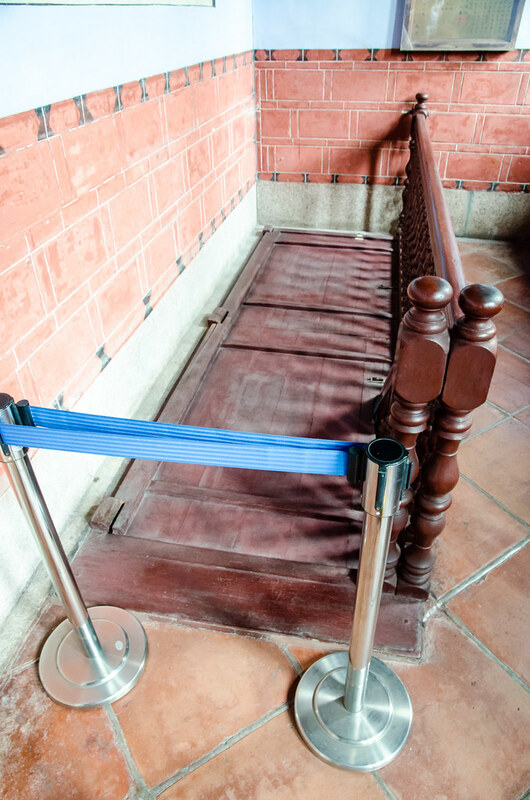 I guess you need to set your mobile to silent mode to prevent from disturbing visitors who are praying here. 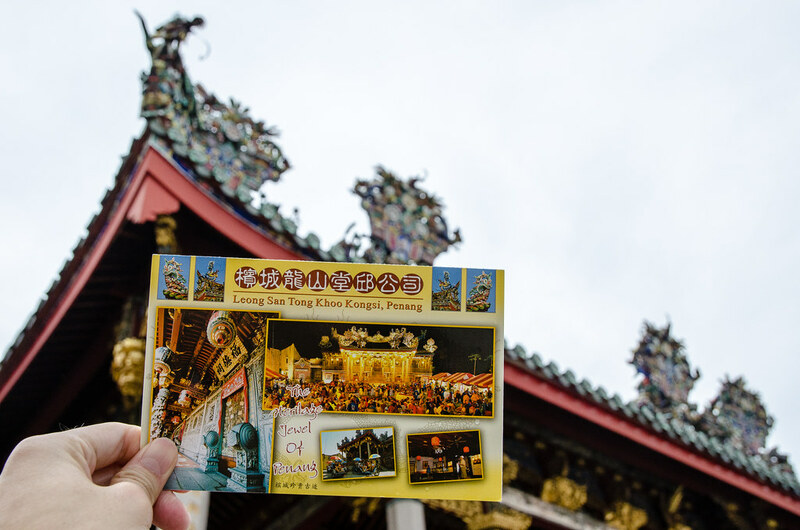 After paying for the ticket, you will be given a Khoo Kongsi Sticker that need to be stick on your body all the time you are here. 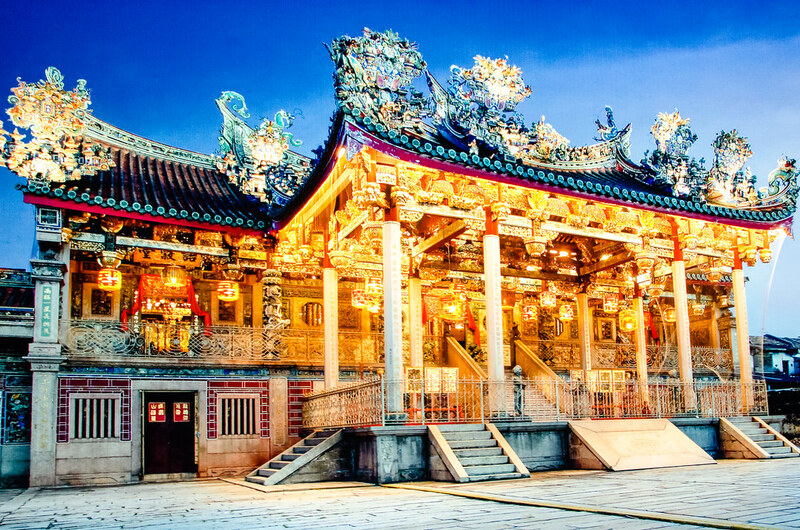 The amazing Khoo Kongsi temple. Not very big but the carvings are very detailed. Stairway up to the entrance of the temple. 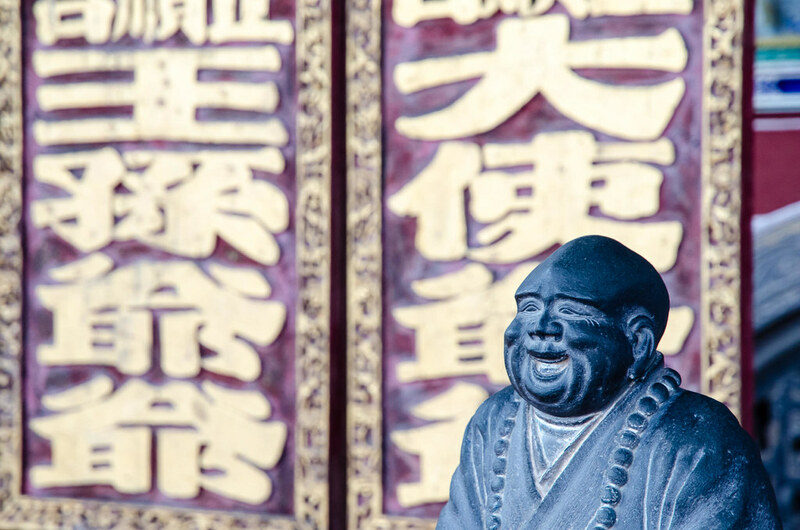 The happy monk sitting in front of the Khoo Kongsi temple’s entrance. Some of the Chinese weapons here. 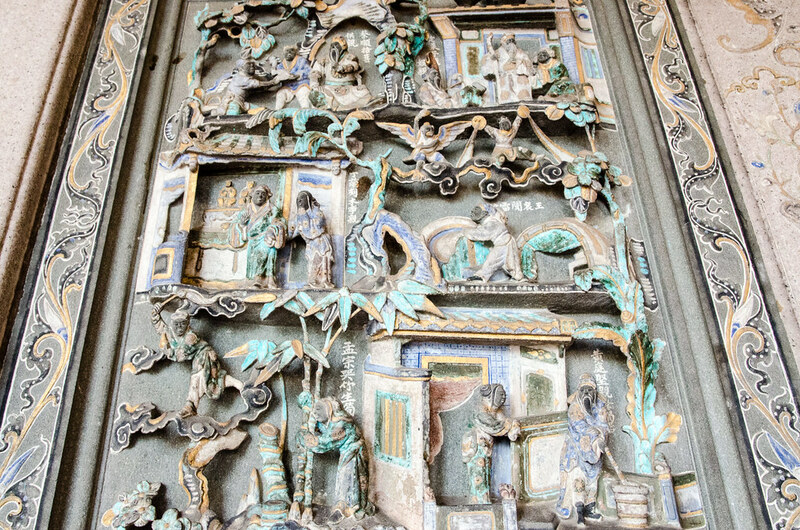 Beautiful carving on the Khoo Kongsi temple’s wall. 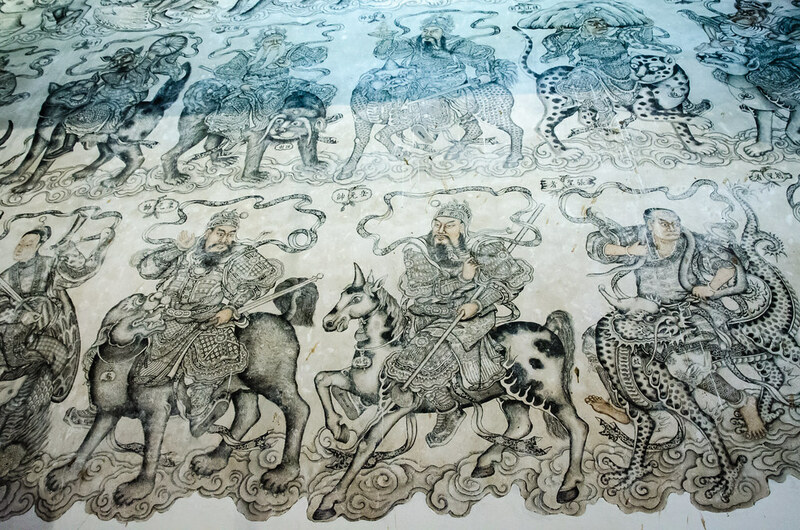 Very detailed painting on the Khoo Kongsi temple’s wall. Altar for praying in the temple. Spot the very classic clock? The golden temple wall. Not sure if they are made from gold. The roof inside the temple with a big lantern. Altar for visitors to pray. 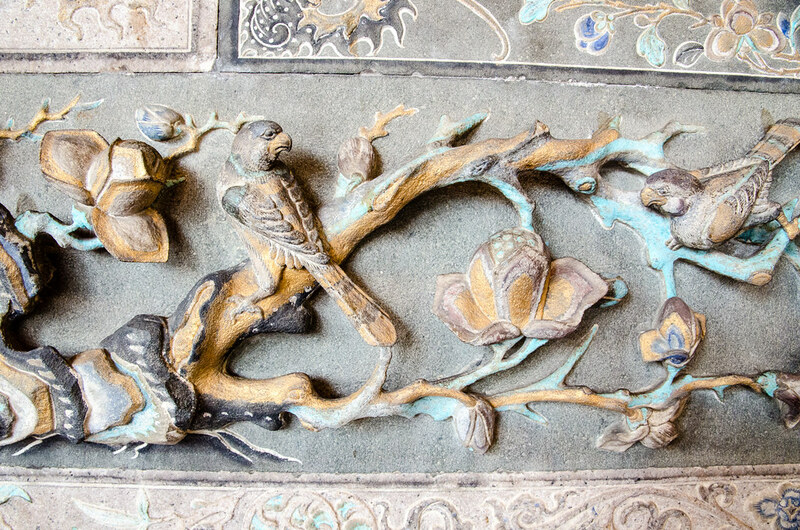 Another beautiful birds and flowers carving on the wall. 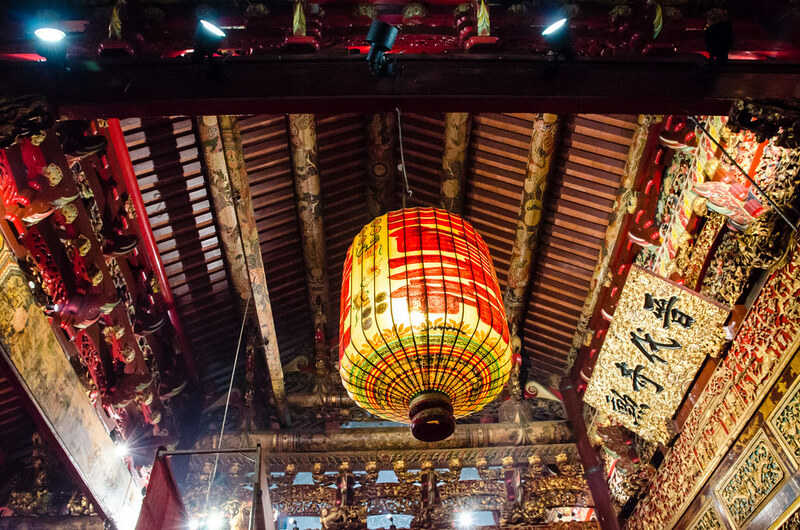 I came back to Khoo Kongsi’s temple at night to shoot this photo. Just kidding. 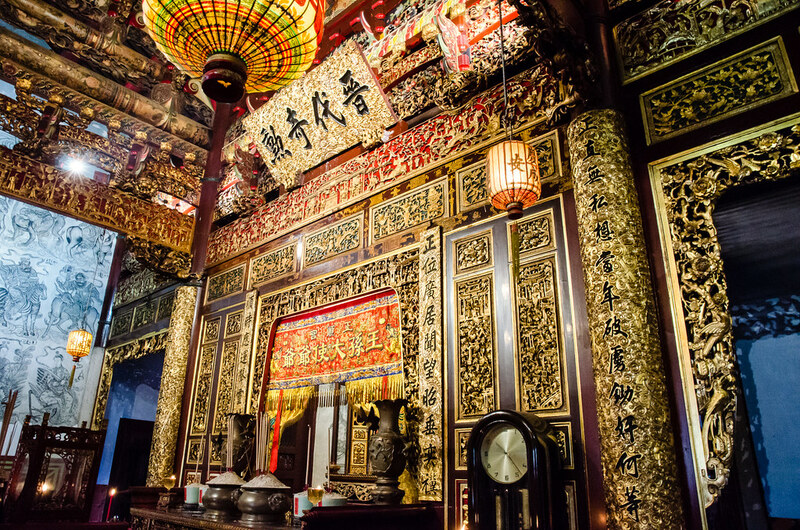 This photo is a photo of Khoo Kongsi at night in the mini museum under the temple. 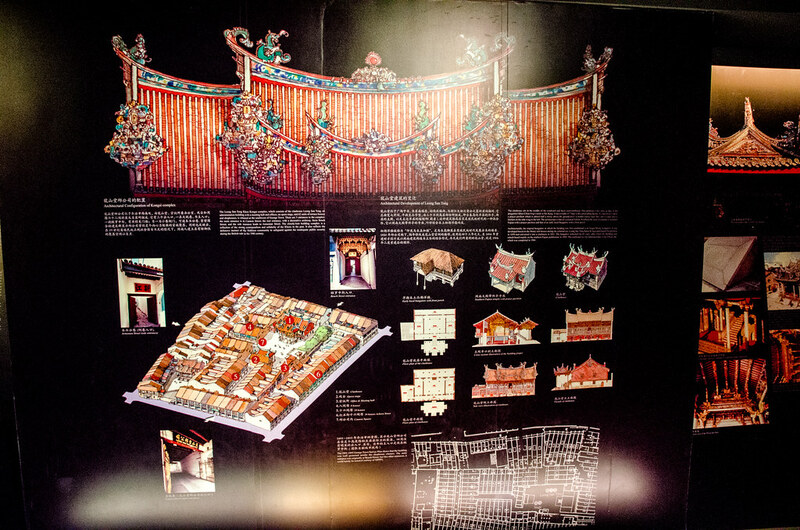 Some of the illustration in the mini museum to explain the architecture of the Khoo Kongsi. The surnames of the Chinese clans in Penang, I think.. Thanks to KHOOKW for telling me those are actually a poem and guide for Khoos to name their children’s middle word of the Chinese name. 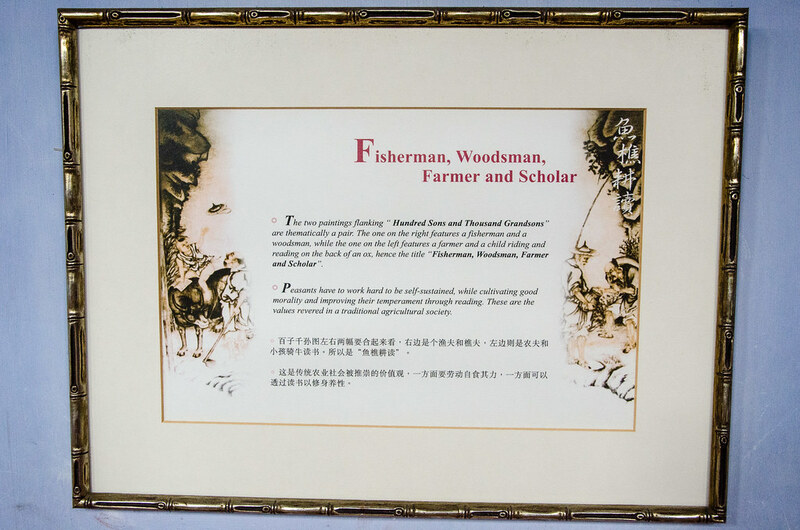 The story of one of the painting showcased here in the temple, Fisherman, Woodsman, Farmer and Scholar. Spotted this door to go to the underground. Not really sure what is down there. The roof in the kitchen has an opening like this for the sunlight and rainwater. 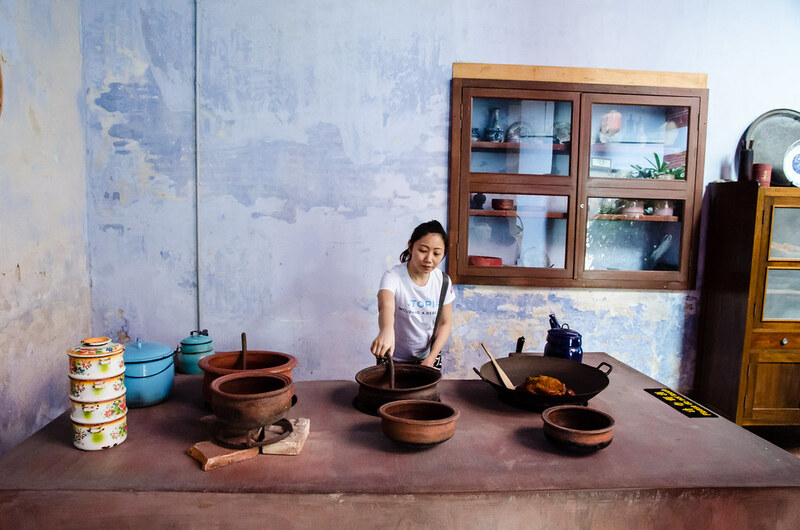 Some of the ancient kitchen kitchenware of Khoos family. Do you have those in your house? Laupoh is preparing dinner for everyone. 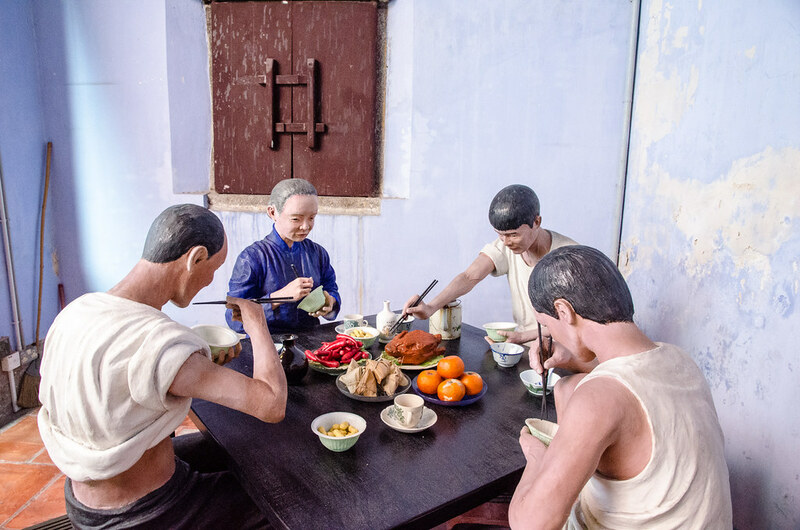 A Khoo family eating dinner together. Awesome roof with very detailed carving. 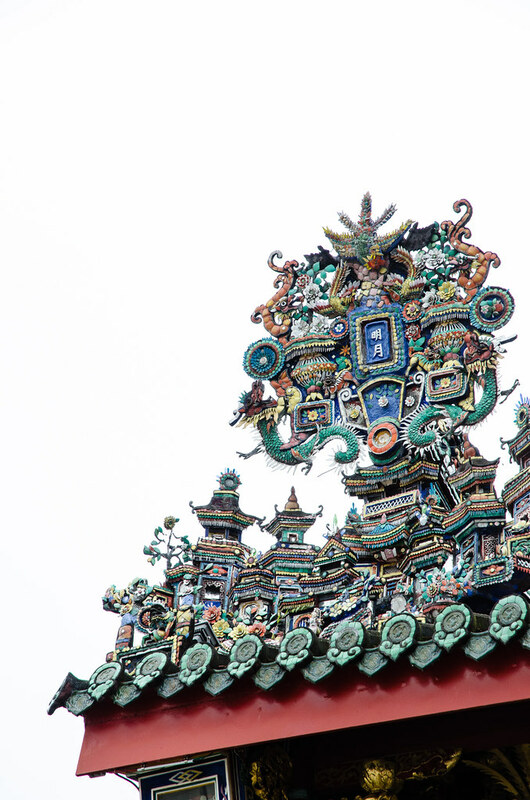 Another shot at the temple’s colourful roof which is well maintained until today. 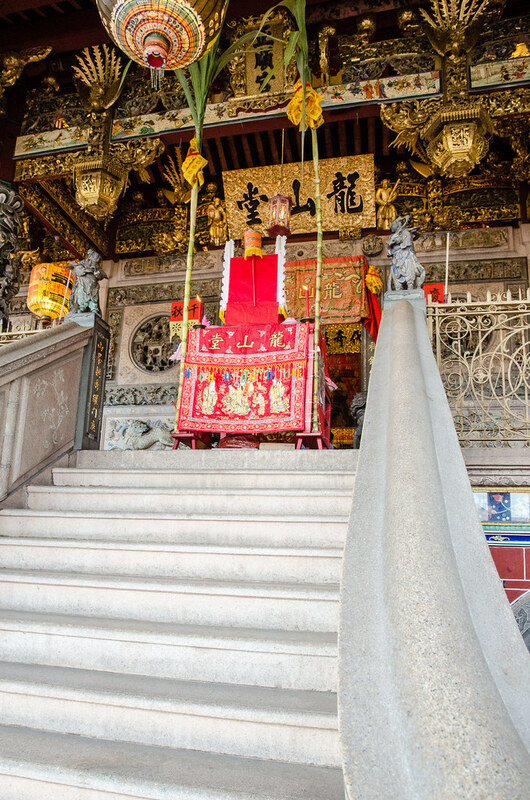 My postcard of Leong San Tong Khoo Kongsi, the heritage jewel of Penang. Included with the entrance ticket. Going to Penang, Malaysia? Click here to view all my Penang’s posts. Click here to view all my travel posts. 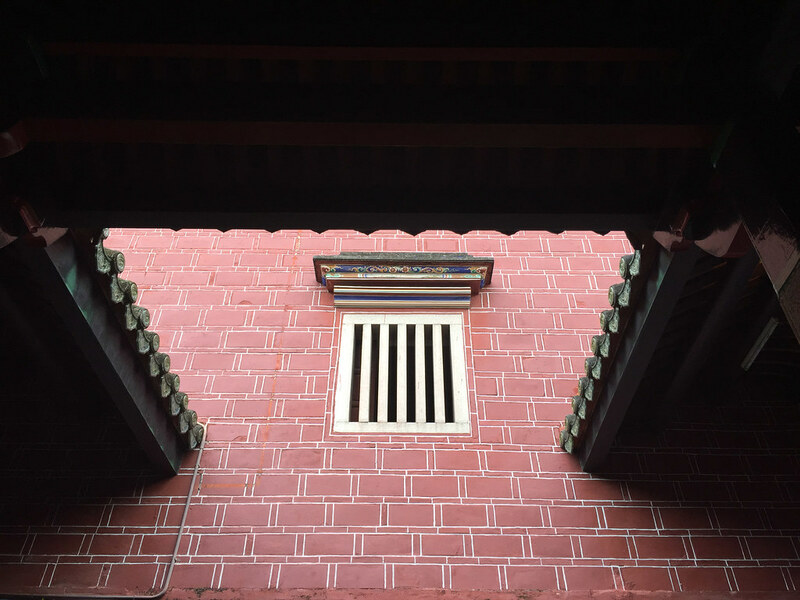 Great blog, nice to see that u enjoyed my ancestral clan hse. 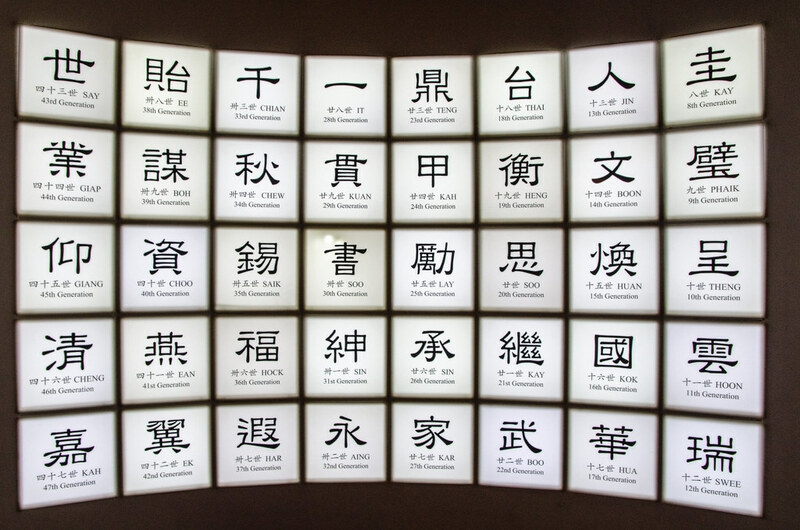 A point to note is that ur pic with many chinese characters – its actually a poem and guide for us khoos to name our children – we use the poem to as our middle names. Example – my date is Khoo Soo Meng (Soo is 20th generation), me is Khoo Kay Wah (Kay is 21st gen) , and my son shall be Khoo Boo Keat (Boo is 22nd gen). I have updated the photo’s description. Hope to visit Penang again soon!